In a few days when the moon is at its biggest and brightest, the Chinese will celebrate the Mid-Autumn Festival or known as mooncakes. Since I have posted several mooncakes festival explanation over the years, this time, I will just put up some photos of the mooncakes. My current favourite is the yam paste. Initially, I thought the orange middle part is an egg yolk. 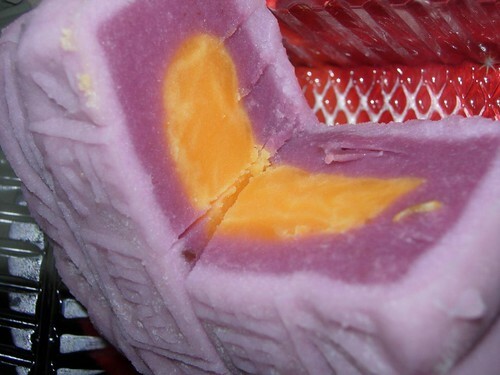 The shop told me it is not egg but just a ball of cheese. LOL, I cannot differentiate the taste of an egg from a cheese! This is the Chinese ham with nuts. 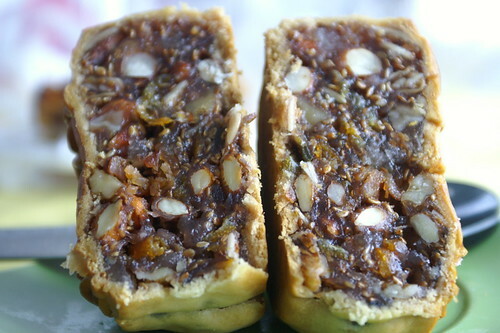 It is a little bit like a very rich Christmas fruit cake, chockful with nuts, orange peels and lard pieces. 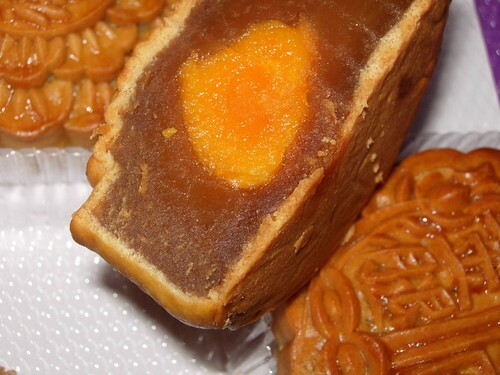 Over the years, mooncakes get more and more exotic. From the regular lotus and red bean paste, now they have durian paste as well. This durian paste with one yolk tastes rather nice. So, all the above are some of the different types of mooncakes available this year.